Piet advises on international tax aspects for M&A and private equity. He has experience in advising funds and multinationals on cross-border transactions including application of tax treaties and obtaining tax rulings. Piet is specialized in international tax planning and structuring for fund raising, investments, financing, listings, joint ventures, restructurings, reorganizations and migrations. He also is experienced in tax litigation and negotiating tax indemnities and warranties. Piet is lecturer at the International Bureau of Fiscal Documentation (“IBFD”). Marc specializes in cross-border private equity investments and in legal and tax aspects of pan-European fund structuring. His projects include structuring the investments of private equity funds as well as advising fund managers on the optimization of their remuneration package. He has a strong track record in the emerging markets, notably in the CEE, CIS and Turkey. Marcello divides his time between the Amsterdam and the Luxembourg offices. His main fields of expertise include international tax planning, mainly related to the structuring of VC and PE deals, joint ventures and M&A transactions. Marcello has developed a particular expertise in structuring investment funds (such as venture capital, private equity, real estate funds and hedge funds). He is also involved in emerging markets work, notably in the CEE, Russia/CIS, Middle East, China and Brazil. Marcello is a lecturer at the University of Leiden (LL.M. International Taxation) and IBFD. 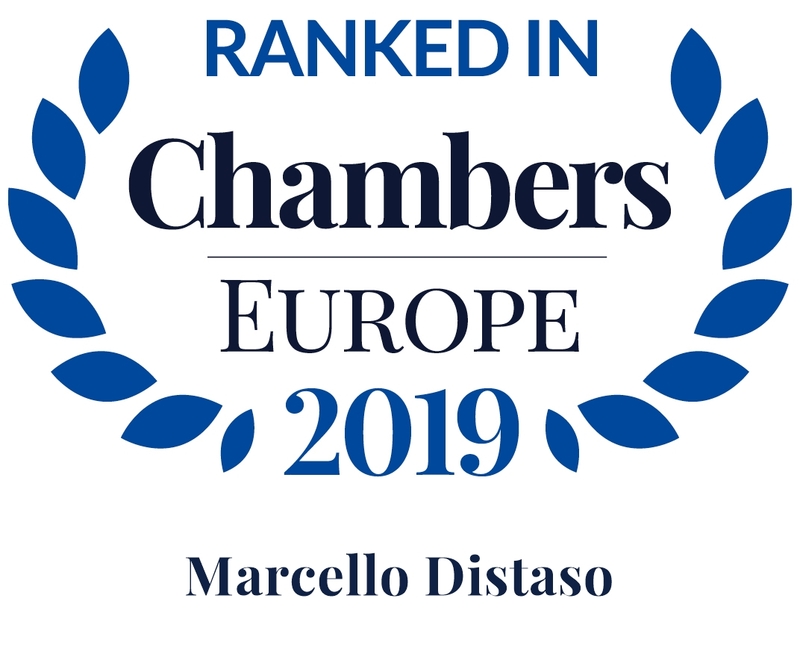 Raffaele specializes in structuring cross border investments for private equity funds and hedge funds with a particular focus on Luxembourg tax aspects. He has extensive experience serving US, Canadian and UK clients and developing tax efficient solutions for a variety of investment funds and multinationals in Europe, Asia and Latin America. He is also a specialist in the EU Savings and Alternative Investment Fund Managers Directives. Renaud has extensive experience in funds and asset management regulatory matters. Renaud advises clients on a wide range of alternative funds matters, including private equity, real estate, infrastructure, funds of funds, debt and distressed funds, co-investment and carry vehicles and other alternative investment structures, as well as retail funds such as UCITS. Renaud has gained thorough experience in fund review and fund formation matters from working with institutional investors as well as prominent asset management firms. He also advises on the establishment and licensing of UCITS management companies and AIFMs and their ongoing regulatory obligations. In addition, Renaud advises clients regularly on insurance regulatory matters. Renaud obtained a law degree from the University of Liège and finished a complementary course in Luxembourg law at the University of Luxembourg. He has worked for more than a decade in the Luxembourg funds practice of a Magic Circle firm. Renaud joined the Luxembourg office of Van Campen Liem in 2019. Renaud is a member of the Association of the Luxembourg Fund Industry (ALFI) and the Luxembourg Private Equity Association (LPEA). He is a regular guest speaker or panellist in conferences and is the author of various publications on the subjects of investment funds and related regulatory topics. Cees is mainly involved in joint ventures, M&A transactions, VC and PE deals, securities, international restructurings, corporate governance and general corporate law advisory. His clients are US and European multi-nationals, sovereign wealth funds, as well as Dutch and international venture-capital funds. Cees is also involved in emerging markets work, notably in the CEE, Middle East, China and Brazil. Industry sectors in which Cees is particularly active include biotech, medical equipment, energy, media and communications and financial services. Paul is specialized in international tax planning and structuring, advising multinationals and funds on Dutch tax aspects of their investments, including international dimensions such as the application of EU law and bilateral (tax) treaties. He has ample experience with cross-border transactions, both external acquisitions and internal restructurings, such as centralization of IP and optimization of supply chains. Paul is a board member of The Netherlands Association of Tax Attorneys (NVAB) and has litigated a substantial number of tax cases before the Dutch courts. Edwin Liem has over 24 years of experience in corporate law and transactional work. Edwin was crown appointed as civil law notary in 1998. 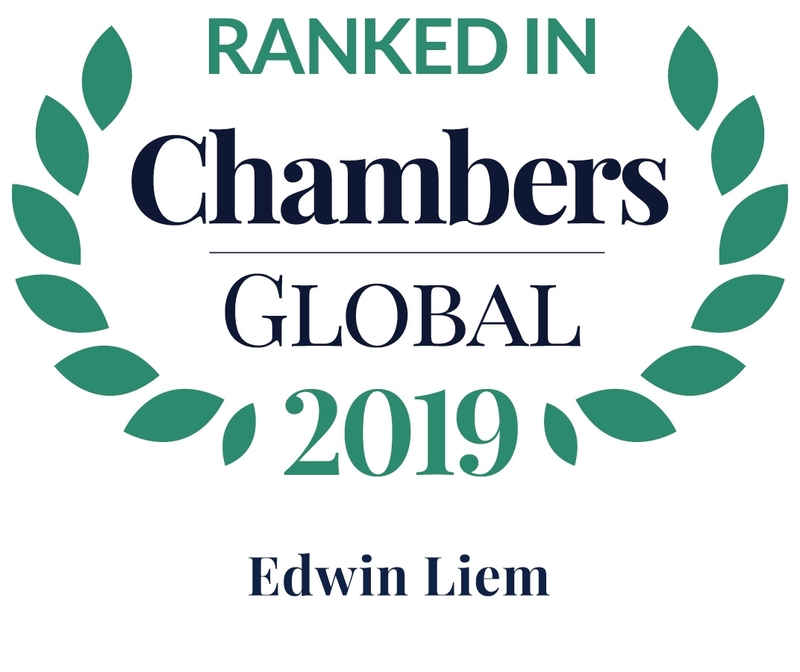 Edwin is mainly involved in joint ventures, M&A transactions, VC and PE deals, international restructurings, corporate governance and general corporate law advisory. His clients are multi-national companies, sovereign wealth funds, as well as Dutch and international venture-capital funds and family offices. Industry sectors in which Edwin is particularly active include biotech, medical equipment, pharma, energy and offshore industry. Edwin regularly gives lectures and trainings on shareholders agreement and venture capital transactions for institutions including the European Venture Capital Association. Tom is primarily involved in corporate law work. With a background in M&A and equity finance, he specializes in the formation of private and public investment funds and related corporate transactions. He has wide experience in listed securities, IPO’s and bond documentation. Jérémy has over 12 years of experience within the investment fund industry. Prior to joining Van Campen Liem, Jérémy worked for a top tier Luxembourg law firm as well as for the Luxembourg office of a leading US law firm. He is regularly involved in the setting-up of Private Equity, Real-Estate and Hedge Funds as well as assets servicing matters in general. He demonstrates a solid expertise on every aspect of the fund lifecycles, including notably investment strategies matters, corporate governance issues, funding mechanism as well as exit strategies. He assists seed investors on a regular basis in their negotiations with fund managers. Jérémy is also involved in typical distribution and marketing matters both in relation to funds and other financial services. Arjen is primarily involved in corporate law work. With a broad background in this field, he specializes in Dutch and cross-border corporate restructurings, mergers and acquisitions, corporate governance, including the establishment of new corporate structures as well as setting up joint ventures, partnerships and corporations. Arjen has extensive knowledge in a wide range of Dutch corporate and commercial law matters and counsels corporate clients and financial institutions on regulatory issues. Aldo heads the Luxemburg office of Van Campen Liem, advising multinationals, investment banks, private equity funds and other investors on Luxemburg and Dutch corporate law and securities law. Aldo specializes in cross-border transactions, with a particular focus on corporate (re)structurings and group financing. In addition, Aldo has a sizable private client practice, providing advice as to Luxembourg and Dutch (and Curacao) law on matters ranging from asset protection to tax efficient structuring of family holding vehicles to an array of clients, including ultra high-net-worth individuals, family offices, trustees and private banks. Nicole van Smaalen has ample experience in the areas of corporate law and commercial law. She was appointed as civil law notary in 2001. Nicole specializes in (crossborder) mergers, corporate restructurings, the incorporation of legal entities, corporate governance, private equity transactions and joint ventures, both national and international. Nicole has worked for various clients, which include multinational companies, listed and not listed companies, established in the Netherlands, the United States of America, India and in the emerging markets. Maurits is primarily involved in corporate law work. With a broad background in M&A, joint ventures and equity finance, he specializes in the formation of investment funds and related corporate transactions. He has wide experience with establishment, restructuring of and investments in private equity, real estate and hedge funds. Maurits is deeply involved in the industry discussion of recent investment fund regulatory developments and in particular the AIFM Directive. William has a significant experience on issues relating to domestic and international M&A transactions and joint ventures. He routinely provides assistance in complex domestic and cross-border integrations and restructurings and also works with private equity firms to structure their investments. Before joining Van Campen Liem, William worked for a top 10 Luxembourg business law firm and for the Luxembourg office of a leading US law firm. Andrew has over 10 years of experience within the asset management industry. He joined Van Campen Liem upon its formation in 2012 and worked before for a leading US law firm. He is regularly involved in matters of international taxation and mainly relating to the set up of private investment fund structures in Luxembourg and the Netherlands, deal structuring (PE/VC and real estate), joint ventures and cross border reorganisations. He has significant experience in the application of tax treaties, European Directives and obtaining tax rulings in Luxembourg and the Netherlands. Bart is mainly involved in international restructurings, joint ventures, M&A and private equity transactions and general corporate law advisory. Bart is also regularly involved in setting up and advising investment funds. His clients are US and European multi-nationals, as well as Dutch and international investors and family offices. Industry sectors in which Bart is particularly active include the energy, oil & gas and offshore industry. Gesina is a leading international tax and corporate finance lawyer. She started her career as an inspector at the tax inspectorate for large enterprises in Amsterdam and was an official and personal assistant of the State Secretary of Finance at the Ministry of Finance. 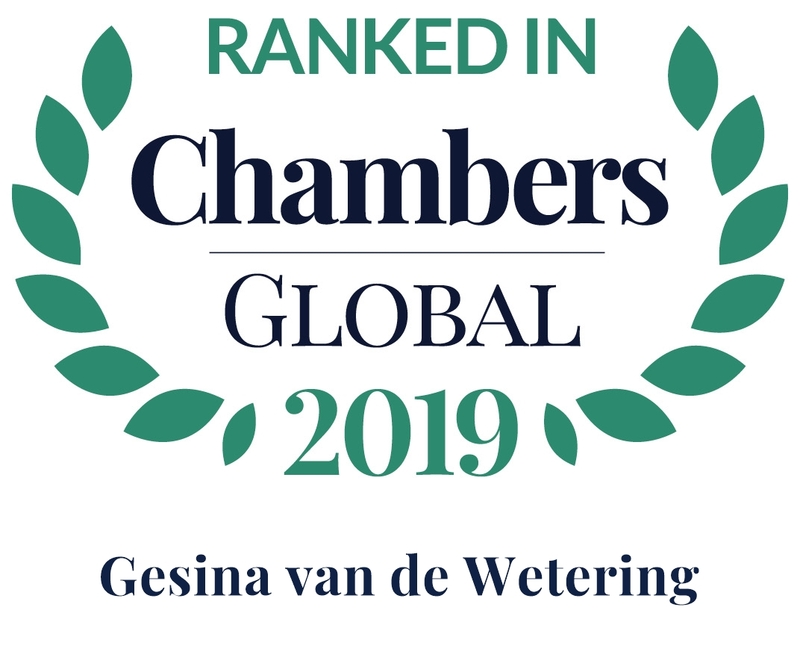 For many years on a row, Gesina is acknowledged as a leading individual by Chambers Global where she is praised for both her commercial and legal skills. Gesina is heading the Turkey desk and dedicates a substantial part of her practice to advising prominent Turkish clients across several major industries on cross-border transactions. Global Chambers ranks Gesina as a foreign expert with expertise in Turkey. Further, Gesina is frequently asked to speak at international seminars, and has participated in various tax expert groups. Olivier is a partner in our funds practice. He advises clients on a wide range of alternative funds matters, with a particular focus on private equity and venture capital. Olivier is former Head of VC Investments and Secondary Transactions within the Legal Service of the European Investment Fund (EIF) where he was involved in all areas of EIF’s equity activities. He has extensive experience in negotiating investments in private equity and venture capital funds (including technology transfer operations), structuring and formation of investment vehicles, implementing secondary transactions involving the disposal or acquisition of fund interests, and fund restructurings. Olivier worked for seven years in the Luxembourg corporate and M&A practice of a Magic Circle firm where he gained significant experience in corporate transactional work. Olivier graduated in law from the Catholic University of Louvain (UCL) in 2002. He obtained a Master’s degree in business law from Ghent University (2003) and followed an advanced course in Luxembourg law at the University of Luxembourg (2004). Olivier was admitted to practice in Luxembourg (Avocat à la Cour) in 2006. He joined the Luxembourg office of Van Campen Liem in 2019. Ilona has experience in the field of corporate and commercial law. She advises in international restructuring projects, including incorporation’s of private and public companies, (cross border) mergers, transfer and issuance of registered shares. Ilona has worked for various clients, which include multinational companies established in the Netherlands, the United States of America, the United Kingdom and India. Svetlana’s practice encompasses a full spectrum of matters involving alternative investment funds, advising both fund managers and fund investors on structuring, operational issues and regulatory aspects of private equity funds, venture capital funds and hedge funds, as well as on primary, secondary and co-investment transactions. Over the past few years Svetlana has been at the forefront in assisting numerous asset managers and negotiating on their behalf in the setting up of their private equity and venture capital funds with DFI’s. Saskia is involved in the corporate law practice and specializes in financial law. She has broad experience advising national and international clients on matters relating to economic sanctions, banking, capital markets and lending as well as on regulatory laws and regulations. Saskia’s expertise further includes advising on the formation of investment funds and related corporate transactions. Martina is a corporate lawyer who studied notarial law at the University of Utrecht and fiscal law at the University of Amsterdam. Martina has large experience in the field of corporate and real estate law, and worked for several clients, including multinational companies both in and outside the Netherlands. She advises on various corporate law matters, with a particular focus on (international) restructurings, investment structures, (cross-border) mergers and take-overs. Coen has over 15 years of experience as a corporate lawyer, and specializes in (re)structuring of investment funds and all aspects of national and cross-border mergers and acquisitions, restructurings and joint ventures. Coen is also involved in the legal aspects of implementing management / employee participation schemes and providing general corporate law advice. His clients include private equity, buyout and real estate funds, as well as US and European corporations. Bastiaan (Bas) Bloemink focuses on assistance to funds and managers, investment firms and on regulatory matters. He advises on regulatory, governance and legal requirements for regulated and exempted firms alike. His broad and in-depth experience covers license applications, regulatory assessments of board and supervisory board members, legal qualifications and handling regulatory investigations. Bas translates legal and regulatory requirements into operational and practical solutions for clients. Bastiaan has worked for fund managers in real estate, arbitrage, hedge and financial instruments funds. He has also been involved in FinTech initiatives, brokers/asset managers/MTF’s, financial services providers and compliance activities and holds a post-graduate certification in securities law. Pepijn is a candidate civil law notary who graduated in notarial law from VU University Amsterdam. He successfully completed the three-year professional training programme for deputy civil-law notaries, and he finished the post-graduate specialist programme in Company and Corporate Law at the Grotius Academie. Pepijn focuses in particular on corporate law matters, M&A transactions and joint ventures, establishment of investment structures, international corporate restructurings and corporate governance. Lisa Klemann advises clients on structuring and setting up regulated funds and unregulated funds with a particular focus on alternative investment funds (e.g., private equity, real estate, infrastructure, fund-of-funds, etc.). Lisa also assists clients on regulatory and corporate matters relating to the structuring and ongoing operations of funds. Lisa regularly advises institutional investors in relation to their investments into closed-ended funds. Lisa advises on the establishment and licensing of alternative investment fund managers and their ongoing regulatory obligations. Lisa also has significant experience advising on the formation of UCITS and establishment and licensing of UCITS management companies. Lisa holds a Master of Law from the Université Libre de Bruxelles. She was admitted as Avocat à la Cour in Luxembourg in 2017. She worked for almost five years in the Luxembourg funds practice of a Magic Circle firm. Lisa did a six months’ secondment at the European Investment Fund in 2017. Lisa is a member of the Luxembourg Private Equity Association (LPEA). She joined the Luxembourg office of Van Campen Liem in 2019. Benoit advises clients on structuring and setting up regulated funds and unregulated funds with a particular focus on alternative investment funds (e.g., private equity, real estate, infrastructure, fund-of-funds, etc.). Benoit also assists clients on regulatory and corporate matters relating to the structuring and ongoing operations of funds. Benoit has significant experience in advising institutional investors in relation to their investments into closed-ended funds. Benoit advises on the establishment and licensing of alternative investment fund managers and their ongoing regulatory obligations. Benoit holds a Master of Law and a Master of Political Sciences from the Catholic University of Louvain (UCL) and a Master of European Law from the College of Europe (Bruges). He was admitted as Avocat à la Cour in Luxembourg in 2015. He worked for almost six years in the Luxembourg funds practice of a Magic Circle firm and two and an half year at the European Investment Bank where he gained significant experience on fund review work and negotiating equity investments into private equity and infrastructure (co-)investment structures across a wide range of jurisdictions. He joined the Luxembourg office of Van Campen Liem in 2019. Prior to joining Van Campen Liem, she trained at Curtis, Mallet-Prevost, Colt & Mosle LLP (London) and worked in the private investment fund teams in the London offices of Berwin Leighton Paisner and Proskauer Rose (UK) LLP. Diederik is primarily involved in corporate and contract law work and the formation of investment funds (corporate & regulatory). He has a broad background in this field and specializes in mergers & acquisitions, restructurings, corporate governance and the establishment of investment funds such as private equity funds and hedge funds. Diederik also has substantial experience in advising UK clients and particular knowledge of English law. Thijs specializes in Dutch and cross-border tax restructurings, advising private equity funds and multinationals on Dutch tax aspects of their investments, including international dimensions such as applicable tax treaties and EU (tax) law. Before joining Van Campen Liem in February 2013, Thijs has gained experience at Deloitte Tax Lawyers, where he has been part of the M&A Tax team and was involved in numerous restructuring and refinancing projects and M&A transactions (due diligence and tax structuring). Huseyin studied private law at the Radboud University of Nijmegen, with a special focus on corporate law. He mainly assists clients on corporate law matters, relating to mergers and acquisitions, corporate restructurings, establishment of investment structures, corporate governance and general corporate law matters. Huseyin has acted for a variety of coporate clients in the finance, energy and telecommunications industries, particularly in respect of their investments in the Eurasian zone. Ramzi has over 10 years of experience within the investment fund industry. He specializes in the setting-up and restructuring of alternative investment funds (private equity, real estate and hedge fund) and AIFMs. He also advises clients in the transactional aspects in the framework of their projects. Due to his experience with a top European banking institution, he also provides assistance to clients on day-to-day operational aspects of investment funds. Prior to joining Van Campen Liem, Ramzi gained experience with a top tier Luxembourg law firm and the Luxembourg office of a leading US law firm. Gabriel Amar specializes in structuring cross border investments for private equity funds and multinational companies, with a particular focus on Luxembourg tax aspects and transfer pricing. Gabriel holds a Master’s degree in business and tax law from the ESSEC Business School and University of Cergy-Pontoise (France), a Master’s degree in business law from the University of Paris X, Nanterre (France) as well as post-graduate degrees in Luxembourg tax. Gabriel is also a member of the International Fiscal Association (IFA) in Luxembourg. He has also contributed to several books/publications and published “L’émission de certificats de résidence au profit des organismes de placement collectif luxembourgeois”, AGEFI. Gabriel worked previously as tax advisor for a leading French law firm and for a Luxembourg tax advisory firm. Rocío specializes in the formation and ongoing advice of alternative investment funds, with a special focus on private equity and real estate. She is actively involved in the funds’ related regulatory and compliance matters. Rocío advises her clients in respect of AIFMD aspects and notably the structuring of their Luxembourg based AIFMs as well as their cross border distribution schemes. Prior to joining Van Campen Liem, she served as an associate in the investment funds’ department of another international law firm established in Luxembourg. With her several years of experience, she has gained exposure to general corporate law matters and undertaken a wide range of corporate and transactional work relating to investment funds. She holds an joint LL.M in European Transnational Trade Law and Finance from the universities of Tilburg (The Netherlands), Strasbourg (France) and Deusto (Spain). Oya has an extensive experience in advising Turkish and international companies in a broad range of sectors on corporate and commercial legal matters. She specializes in M&A transactions and joint ventures. She mainly works with the private equity and venture capital firms and involved in a number of significant cross-border deals. Prior to joining Van Campen Liem, she worked for over 11 years in top tier law firms in Turkey and in DLA Piper London in 2010. Oya was also recommended by Legal 500: Turkey in 2014 – Corporate/M&A. Machiel is specialized in international tax planning and compliance, for (multinational) corporations and private equity funds. He advises clients on Dutch and international tax aspects such as corporate tax compliance, tax audits and debt restructurings. Machiel has gained experience at Deloitte Tax Lawyers where he has been part of the Real estate/ Business Tax team and where he was involved in various corporate tax compliance assignments and debt restructuring projects. Marieke Spee is involved in the fund practice and specializes in investment funds and financial law. She represents and advises a broad spectrum of international clients in relation to the formation of investment funds of various asset classes, and on related corporate transactions. She also has broad experience advising national and international clients on matters relating to banking and finance, as well as on regulatory laws and regulations. Prior to joining Van Campen Liem, she was employed at Stibbe N.V. in Amsterdam. Anna Fredova is involved in the general corporate practice and advises both Dutch and international clients on various corporate law matters with a focus on mergers and acquisitions, corporate restructurings and corporate governance. Anna is a native Russian speaker. Prior to joining Van Campen Liem, she was employed at Intertrust and AKD. Eduardo specializes in structuring cross border investments for private equity funds, hedge funds and multinational companies, with a particular focus on Luxembourg tax aspects and transfer pricing. He has extensive experience in the Iberian, Latin American and US markets. Before joining Van Campen Liem, Eduardo worked as tax advisor for a leading Spanish law firm and for a Luxembourg tax advisory firm. He is a qualified accountant and tax advisor in Spain. Guillaume is primarily involved in corporate and M&A work. He advises private equity firms or investment funds in Luxembourg or acting through Luxembourg-based vehicles on their cross-border acquisition transactions, restructuring and day-to-day corporate work. Before joining Van Campen Liem, Guillaume worked for the Luxembourg offices of leading international law firms. Etienne has over 10 years of experience in the corporate and contractual law area in Luxembourg. Before joining Van Campen Liem in 2018, Etienne worked for one local and two international law firms in Luxembourg. Etienne has a significant experience in M&A and restructuring transactions, on potential liability aspects, and in commercial, contractual and collateral law. He advised in the past a various range of clients, from start-ups to investments funds and is now mainly focusing on private equity and restructuring transactions. Etienne holds a Master I in private law (Stockholm University, Sweden), a Master I in business law and a Master II in European law (Strasbourg University, France). Eva is a corporate lawyer who studied notarial law at the University in Utrecht, the Netherlands. She mainly assists clients in the US and in Europe on corporate law matters, relating to joint ventures, M&A transactions, corporate restructurings and general corporate law advisory. Eleni is a corporate lawyer who advises international clients in relation to Luxembourg law matters, including corporate restructuring and establishment of investment structures. She specializes in the structuring, setting up and operation of Luxembourg investment funds and vehicles, including related advice on corporate, financial and contractual matters. Sanne studied fiscal economics and tax law at Maastricht University and is specialized in international tax planning and structuring for investment funds, joint ventures, financing activities and reorganization projects. She advises on international tax aspects for private equity as well as general M&A and is experienced in the application of EU law and tax treaties. Ekaterina focuses on the representation of domestic and international corporate clients in private equity transactions, domestic and cross-border corporate restructuring and the setting up of new investment structures, with a particular focus on Russian and CIS clients. She also provides general corporate law advice. Saman specializes in (international) tax aspects of (re)structuring PE/VC funds including the managers’ remuneration package, cross-border PE/VC investments, multi-jurisdictional reorganizations and (joint venture) deals. He is actively involved with transactions in the emerging markets arena across the CIS, CEE and MENA region with a particular focus on Iran and Egypt. Stéphanie Raffini specializes in tax structuring cross border investments in private equity and real estate area. She has more than 5 years’ experience as tax advisor in Luxembourg working in big four for mostly US and UK clients. Martha advises clients on corporate law matters throughout the lifetime of Luxembourg-based corporate vehicles. She is handling equity- and debt-oriented operations within M&A transactions as well as the corporate legal aspects of group reorganizations. Martha obtained her Master’s degree in Paris (Université Paris Nord XIII) in European and International law with a specialization in the law of economics. Pamela is a corporate lawyer with over ten years’ experience in the corporate industry. Having qualified in the UK, she became a member of the Cyprus Bar Association in 2012 and has been admitted to the Bar of Luxembourg (List IV) since 2018. Pamela advises international clients on mergers & acquisitions and cross-border transactions, with a particular focus on debt-equity operations, bond issuances, corporate (re)structurings and group financing. Prior to joining Van Campen Liem, Pamela worked as a corporate lawyer in a leading top tier law firm in Cyprus, advising across a broad spectrum of corporate law matters on the international market. Pamela holds an LLB in common law from the University of London (UCL & Queen Mary). Hayette is involved in the setting-up and ongoing advice to investment funds, in particular to Private Equity and Real Estate funds. Prior to joining Van Campen Liem, Hayette worked in the investment funds department of a leading Luxembourg independent law firm, dealing both with regulated and unregulated structures. She also gained experience in general corporate law matters and transactional work. She holds a LL.M in International Business Law from the University of Exeter (United-Kingdom). Can is a corporate tax lawyer, who studied fiscal law and notarial law at the VU University in Amsterdam. Before joining Van Campen Liem, Can worked as a tax lawyer at the Dutch tax authorities. He mainly assists corporate clients in Turkey and the CIS region on Dutch and international tax law matters relating to joint ventures, M&A transactions, corporate restructurings. Savvas is involved in the corporate law practice. 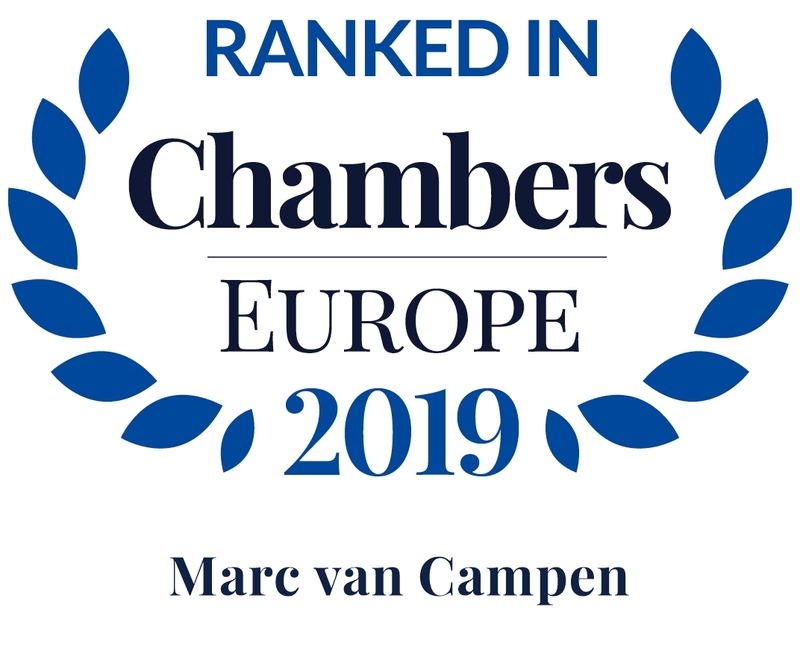 Before joining Van Campen Liem, he studied commercial and corporate law at the Erasmus University of Rotterdam, specialized in M&A, private equity transactions, corporate restructurings and corporate governance. Gert-Jan is a candidate civil law notary who studied notarial law at the University of Amsterdam, the Netherlands. He is specialized in corporate law matters, M&A transactions, corporate restructurings, establishment of investment structures, corporate governance and all other corporate law matters. Ruby has studied corporate law and tax law at the University of Leiden, the Netherlands. She is specialized in mergers and acquisitions, private equity transactions, MBO’s, corporate restructurings and corporate governance. Nathan is involved in the corporate law practice and advises multinationals and (large) domestic corporations in respect of M&A and private equity transactions, corporate (re)structurings, joint ventures, management buy-outs and corporate governance. Prior to joining van Campen Liem in 2018, Nathan served several internships with leading Dutch and international law firms. Rachelle studied Corporate Law at the University of Utrecht, the Netherlands. She mainly assists corporate clients on corporate law matters, relating to joint ventures, M&A transactions, corporate restructurings and general corporate law advisory. Karen manages day to day office operations, with her focus area being Information Technology. Menno manages the accounting operations for Van Campen Liem. Kim is responsible for the Amsterdam office, maintaining a professional working environment and certain HR and administrative functions. Artie assists Menno with managing the accounting operations for Van Campen Liem. Together with Rose, Manon is responsible for day to day office operations in our Luxembourg office. Together with Manon, Rose is responsible for day to day office operations in our Luxembourg office.